Former Vice-president of Nigeria, Atiku Abubakar, has urged President Muhammadu Buhari and other leaders in the country, to focus on creating jobs for young people. 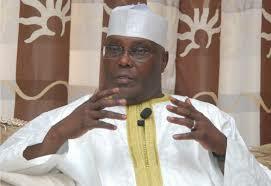 According to Atiku, the most important thing Nigeria needs right now is to eradicate unemployment. Atiku went on to add: “I‘ve always said the only relevant conversation a Nigerian leader should be having with young Nigerians is “how many jobs are we creating? “My first boss used to say “You don’t need to like this job, but as long as it pays enough to give you dignity, everything else is surplus. “The words of my first boss were true. I wasn’t paid much, but when my mother was homeless, my savings bought her a mud house to live in.